Vaping, what is it? It has been defined as: breathing in vapors that are produced by a electronic vaporizer. This vaporizer has a heating coil along with a brand of e-liquid. When you breath in through this device, the heating coil vaporizes the e-liquid in the form of smoke which in inhaled into the lungs. There are many different types of vaporizing devices and many different types of e-liquid brands. 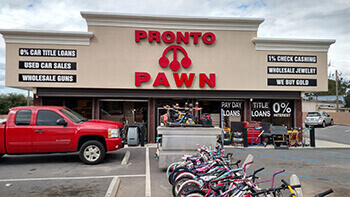 Pronto Pawn has a large selection of e-liquids and vaporizers at several of our locations. 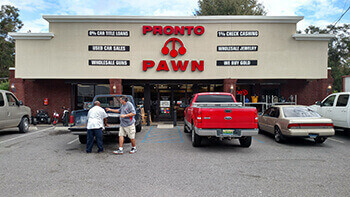 All of our staff at Pronto Pawn is ready to help you with all of your vaping needs. If you have any questions about our e-liquid product line or our vaping devices, please don't hesitate to Contact Us today. You can find our current location which offer vaping e-liquids and vaporizers below. Pronto Pawn - Copyright @2018 - All Rights Reserved.